Magician David Blaine has announced the dates of his 2018 North American tour set to consist of 36 stops across the U.S. and Canada. 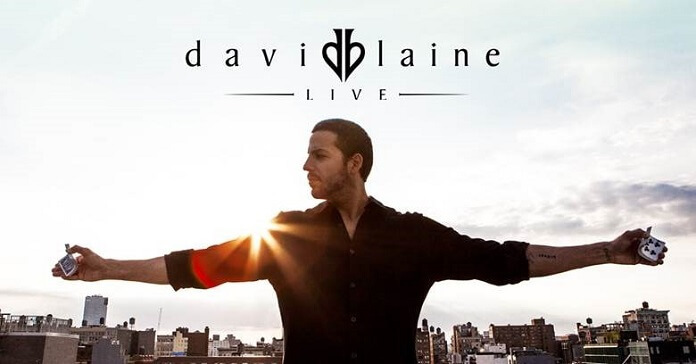 The “David Blaine Live” tour will take place during the spring and summer months, kicking off on May 6th in San Diego. Cities on the upcoming tour include Seattle, Houston, Orlando, Chicago, and Boston. “David Blaine Live” will wrap up on July 14th in Brooklyn, New York at the Kings Theatre. Tickets will be available beginning March 2nd via Live Nation. A special presale for Citi cardmembers begins on March 1st at 10am local time. More on David Blaine, Courtesy of Live Nation: “Blaine’s highly-rated primetime specials have shown him being buried alive in New York City for a week, encased inside a six-ton block of ice for three days, surviving standing atop a 100ft tall pillar in Bryant Park for 36 hours without a safety net, enduring 44 days inside a transparent box in London on nothing but water, and living within one million volts discharged at him continuously for 72 hours from seven Tesla coils. Blaine also spent one week submerged in a sphere-shaped aquarium at Lincoln Center, after which he broke the world record for breath holding live on the Oprah Winfrey show where he held his breath for over 17 minutes. Since graduating high school, he has performed to audiences of over 20,000 in arenas around the world. He has performed for U.S Presidents including Barack Obama, Bill Clinton, George W. Bush, and other international leaders and prominent figures such as Bill Gates, Henry Kissinger, Michael Bloomberg, Stephen Hawking and Muhammad Ali.